What are your reasons for wanting to succeed in the Cash Flow Industry? To work for yourself, tired of someone telling you when to go to work and when you can take some time off, to have some job security, to make the kind of money that can support the lifestyle you desire, to become a funding source, or to just be able to do what you want when you want. Many of you have heard my story before but for those of you who have not I will give you a brief summary. 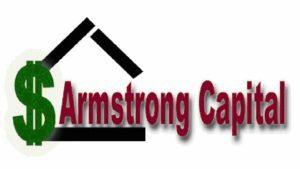 In May of 1991 I took the National Mortgage Investors Association’s five-day “boot camp”, became a Certified Mortgage Investor (CMI) and started Armstrong Capital. At that time the course only taught us about how to broker seller financed notes secured by a mortgage, deed of trust or land contract. If I was going to succeed I had to succeed in what is now just one of the sixty plus cash flows that are available to you. There were no Master Brokers back then, no funding source directory, no internet or websites. There were no helpful books of the forms used, no law of the cash flow industry, and no scripts and tips. I had to build my business from the ground up in a business that very few people were aware of at the time. Back then I had been working at a supermarket as a night manager working the graveyard shift for the last five years. I was always tired, always told when to be at work, always told when I could go on vacation, and I was just tired of that kind of life. It was my goal to make my business work so I could work for myself, create my own hours, go on vacation where and when I wanted to, and to earn enough income to pay the bills and a little extra. It took me about 18 months to finally have my business built up to the point where I was comfortable and confident that I could finally quit my job and work for myself. That was then, this is now. Now, after a student completes a course, whether it be a home study course or a three-day live course, the student has dozens of advantages that were not available when I started. Now, there is an actual Cash Flow Industry. The chance for success today has improved infinitely and the time frame to succeed has shrunk as well. Students are given the forms, a funding source directory, and tons of support in addition to over sixty different cash flows to work with. That is where I come in. As a Master Broker I can help you succeed. In 1997, after several years of working the business and closing hundreds of transactions I was asked to be a Master Broker in the field of Private Mortgages. I accepted because the industry has given me the life that I wanted for myself and it is one way for me to give something back. As a one-man operation I understand how hard it can be to get your business going and to learn the intricate details of a transaction for over sixty different cash flows. If you are interested in working in the field of private mortgages or if you are working a different field and just happen to come across a note secured by property, I can help. There are basically two main ways to work with me. The first way is to simply refer a lead to me. The name and phone number of a note holder is all it takes. I will do all of the work. If I get an acceptance and if the transaction closes you will get a referral fee for up to $1,000 depending upon the size of the note. That’s a pretty good deal for just giving a name and phone number of a note holder! If you are working at a regular job and just trying to break into the business this might be a good option for you. You can concentrate on just finding the note holders and I will follow up and take care of the rest. Sometimes the note holder’s need money right away and sometimes it takes months or even years before they need money, if they ever need money. I have worked with many brokers in the past that have given me a name and phone number and they received a surprise check in the mail over a year after the time they gave me the name and phone number. You need to remember that in this business it is a numbers game, the more note holder’s you come in contact with, the more chances you have of getting and closing a transaction. The second way to work with me is to actually work with me in the process of a transaction. Depending upon how much work you actually do you will earn up to 80% of the commission. I can assist you in any aspect of the transaction from negotiating with the note seller to gathering the documents and closing the transaction. Even before you find a note holder I would be happy to look at your marketing materials, give you suggestions to get your business going and answer any questions that you might have. You can also just fax me a completed Mortgage Worksheet and I will fax back to you a few options as well as what I think you should offer to the note holder. You need to know that I do not do “Simultaneous” transactions. There needs to be, at a minimum, one month of seasoning before we can buy the note. I never wanted to create a large company and have employees (although I could have), I just wanted to run my business as a one-man operation and have a comfortable life. I am willing to bet that most of the people that are in the business these days have the same kind of ideas and goals in mind. As a one-man operation I am able to take my two daughters to school in the morning and pick them up when school gets out, every day. I am able to take my family on trips that I do not think I would have ever been able to if I was not in this business. (We went to Israel for two weeks in 2000, take several snow ski trips every year, and we can go on day trips whenever we want.) Feel free to contact me at any time to request my broker package, ask questions, or tell me about a potential deal. Whether you are having trouble finding your first deal or any deal after that, I would be more than happy to assist you in any way that I can. What are your reasons for wanting to succeed in the Cash Flow Industry?